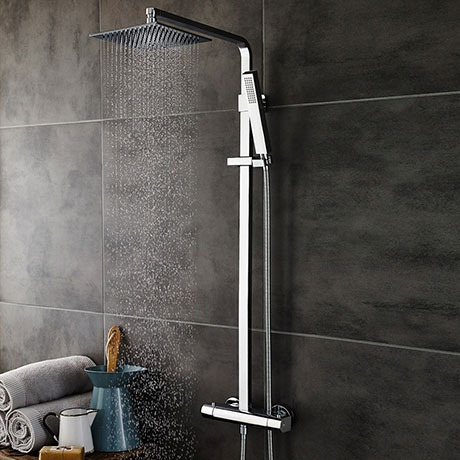 A exposed luxury thermostatic bar valve shower kit from Hudson Reed, The designer Surge features a chrome finish, thermostatic bar valve, square fixed shower head and a rectangular handset with flexible hose. Incorporates an anti-scald device for a safer showering experience. Comes with a 20 year guarantee from Hudson Reed.